Here it is folks, the BUBBA that started it all. Our juicy, all natural beef burger is ready to cook – flavor included! 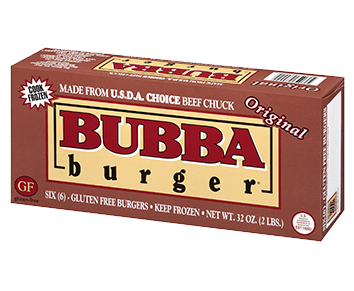 BUBBA burgers are all beef with no fillers, giving them the taste, texture and flavor that is sure to keep you and your family full and satisfied! Be on the lookout for the only Original BUBBA burger! 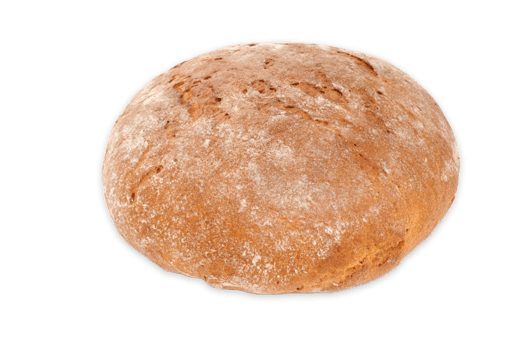 Available in your favorite grocery store. Take our juicy Original BUBBA burger and craft it to your taste by adding sweet caramelized onions, provolone cheese, the bold taste of horseradish, and mate it to a sourdough bun with mustard. Now for some delicious sides: you can combine your burger with fry hash, sweet potato fries or if you are feeling a bit eclectic, try truffle fries. All of these flavors will perfectly complement our all natural beef.